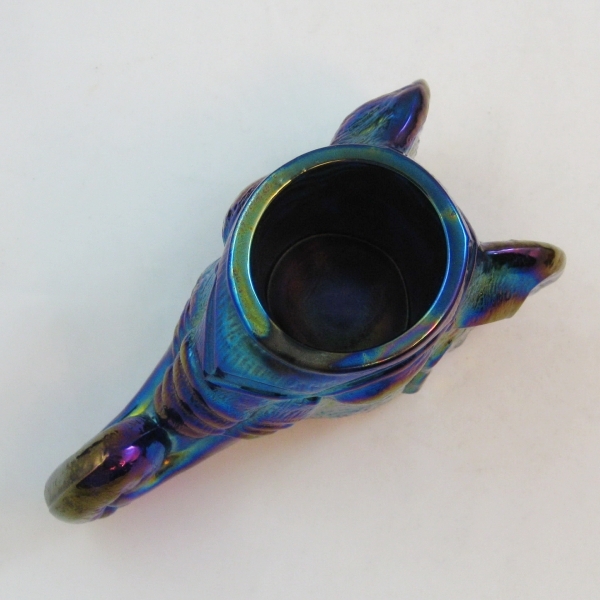 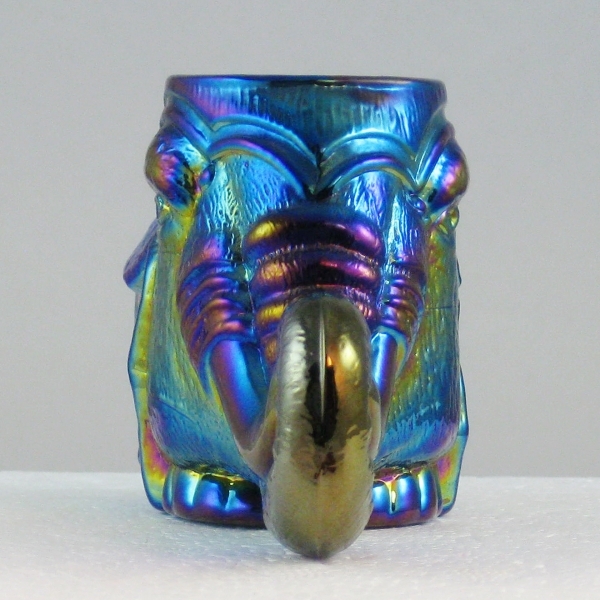 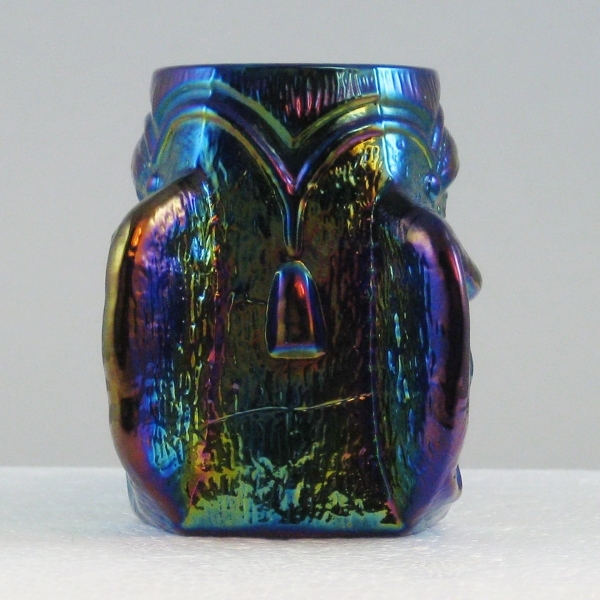 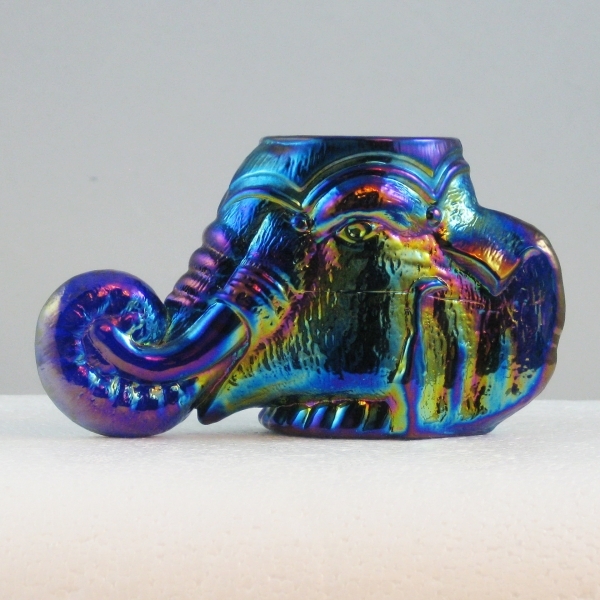 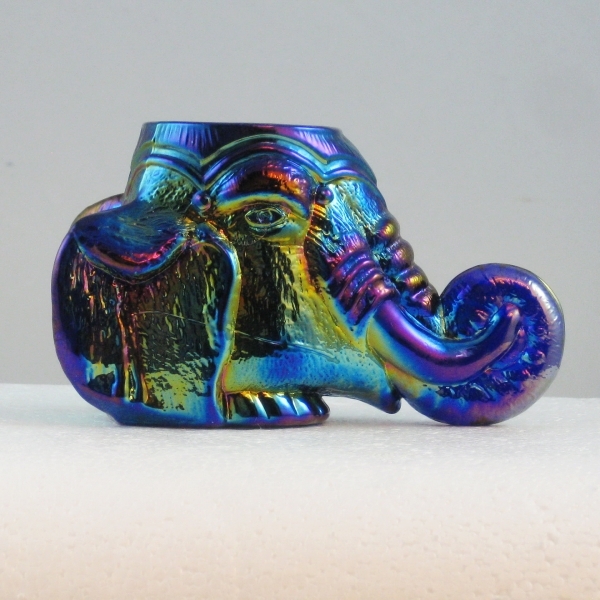 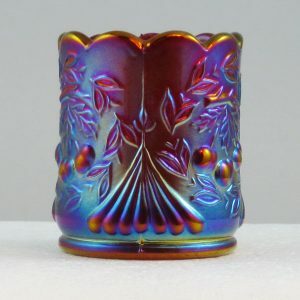 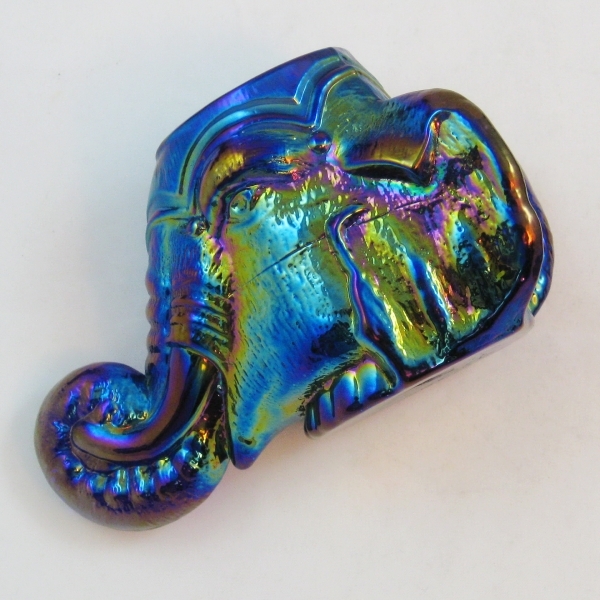 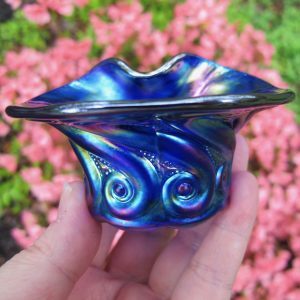 This is an ELEPHANT HEAD Match or Toothpick Holder in Cobalt Blue Carnival Glass. 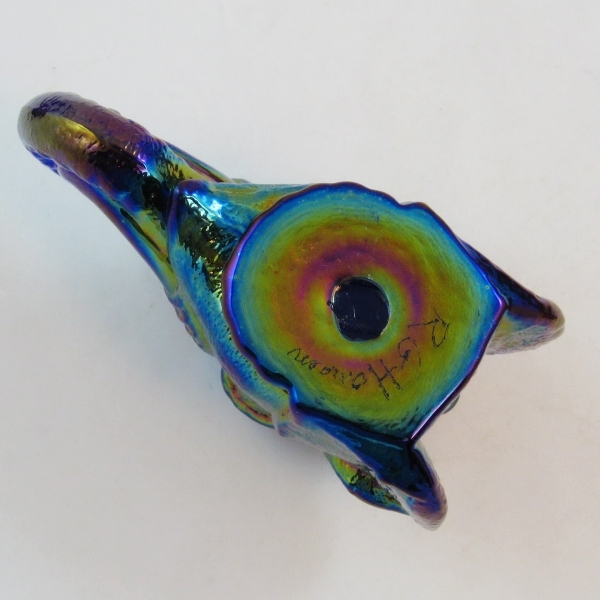 This one has Blue, Gold and Magenta iridescence on it. This is a really, really nice and shiny piece of glass. 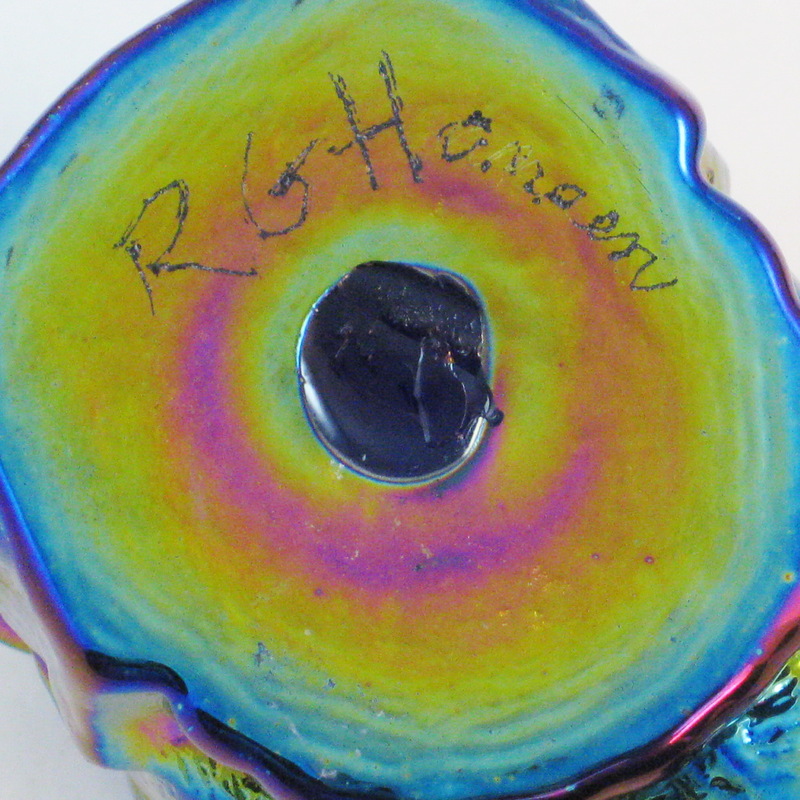 Signed R G Hansen. 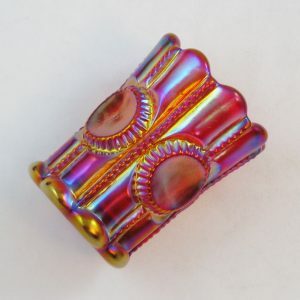 This was a Dagenhart blank, that was stuck up and iridized by Hansen. 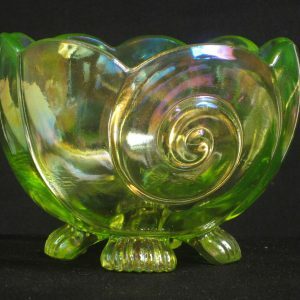 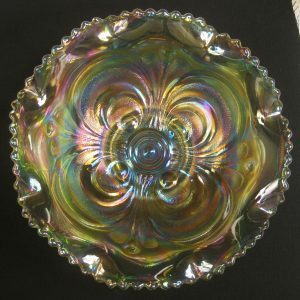 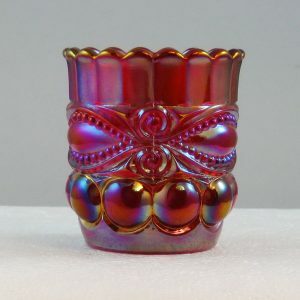 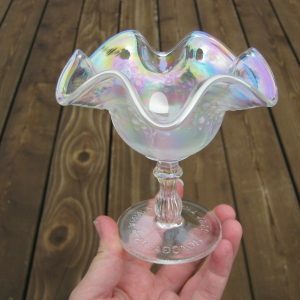 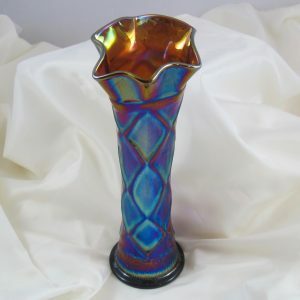 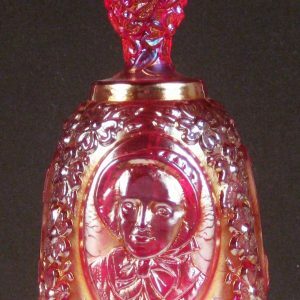 This is a beautiful piece of glass.